Within Teamwork Desk you can set up your own ticket sources in addition to the default ones in Desk. 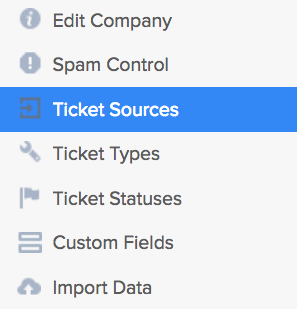 Once in the Company settings in the left-hand pane, you will see the option for Ticket Sources. You can then view existing sources such as Docs, Email and Phone. 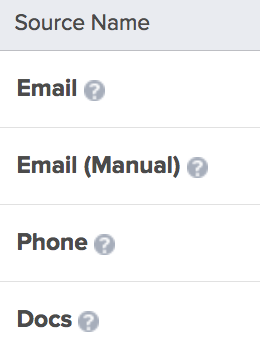 To add a new custom ticket source, enter the details into the field at the bottom and click Add. Note: Only administrators on your Teamwork Desk account can add/edit or delete ticket sources.